The regulatory strategy of North American medical device companies is usually well defined – Section 510(k) of the Food, Drug and Cosmetic Act from the Food and Drug Administration (FDA) is the preferred route. However, there are instances where launching in Europe first with a European Commission (CE) mark can be beneficial (such as with a novel device), or it can simply be a matter of time before one wishes to expand and launch in Europe. Although a complex field, this article attempts to highlight 5 similarities and differences between Medical Device 510(k) and CE Marking in order help those unfamiliar with CE marking effectively prioritize their regulatory efforts. This week I cover Terminology, Device Risk Classification, and Process. Next week I will explore Quality Management System (QMS) and Documentation, and then conclude with a Prolog. The reason 510(k) is the preferred regulatory pathway to reach the US market is clear: Large single market with a transparent regulatory body and minimal costs compared to Premarket approval (PMA). Clients sometimes assume that once the 510(k) is in place it will be trivial to obtain a CE mark and start exporting to Europe. However, the CE marking process has some subtle and not so subtle differences. Thankfully, they are all reasonably manageable. There is insufficient space here for all the subtleties, so we will assume a manufacturer has an existing active/complex, FDA class II device which corresponds to CE marking Class IIa/b device comprising electronics and software, and they wish to CE mark. 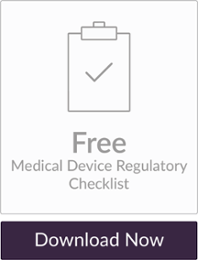 In order to CE mark, the manufacturer must demonstrate their device complies with one of the European Union’s Directives related to ‘medical’ products: the Medical Device Directive (93/42/EEC), the In-Vitro Diagnostic Medical Device Directive (98/79/EC), or the Active implantable Medical Device directive (90/385/EEC). Each Medical Devices Directive (MDD) contains a list of articles which are addressed to the member states of the European Union, but should be read and understood by the manufacturer intending to market in Europe for particular articles which affect or relate to their product. Each country (or Member State) in the European Union has a Competent Authority, which is a division of government responsible for compliance with the device related CE marking directives. To avoid conflict of interest, the various competent authorities have offloaded assessing whether products & facilities meet appropriate standards to the Notified Bodies, of which there are many. Each member state usually has at least one local Notified Body, but there is nothing to prevent a manufacturer in one country from using a notified body in another. Selecting a Notified Body is a combination of fees, travel arrangements, and expertise in your device field. Once you have selected a Notified Body, they will be a lifelong friend – keep them happy and up to date of changes, and all will be well. The Notified Body will perform planned and surprise audits, and be the kind of friend who you have to pay. However, the meat of the various directives is in the corresponding Essential Requirements Annex for each directive, which for the MDD is Annex I. Usually during CE mark audit the manufacturer will be required to show how their device, development program and product manufacturing conforms to the associated essential requirements. Typically an “Essential Requirements Checklist” references each individual requirement and calls out associated evidence demonstrating compliance. The FDA has already classified many devices according to risk. They can be viewed in the device classification database. Generally, if your device is Class II you will need a 510(k) submission– apart from devices which are exempt, or one of the rare class III pre-amendment devices which also require 510(k). Although similar, FDA Class II devices do not necessarily map to CE marking Class IIa/b devices. It is up to the manufacturer to justify which directive and also which device risk classification applies. For the MDD, Annex IX describes a list of questions which, based on the intended use, allows the manufacturer to classify their device similar in principle to CMDCAS and Health Canada device risk classification. Any decision tree and subsequent classification is usually documented. If a manufacturer has a multi-modal device which raises difficult questions for directive and/or device risk classification, then discussion with a notified body is usually required. Class I devices without a measuring function and which are not sterilized do not need to be audited. The manufacturer can self declare and place on the market (with appropriate documentation- see part 2). Class I devices with a measuring function and/or are sterilized can be CE marked using Annex XII– a reduced QMS that will not be discussed here. Start-up clients developing FDA Class II devices usually develop their device and Design History File (DHF), perform predicate device testing, then submit for a 510(k). While the 510(k) is in process, transfer activities are taking place to develop the DMR, and the client is also putting in place a QMS which complies with their target markets – FDA, Canadian Medical Devices Assessment System (CMDCAS) and CE marking. The 510(k) is eventually cleared and the client can begin selling products with the sword of Damocles hanging overhead in the form of a pending FDA inspection (of unknown timescale). For manufacturers following Annex II and full Quality assurance, CE marking usually requires at least two audits: a screening audit to review the QMS procedures and quality manual for compliance with ISO 13485 and the associated directive (which may be performed remotely), and a Technical File review (which also may be performed remotely) and a facility/certification audit, whereby QMS records and facilities are inspected. The interval between the first and second audit is sufficient to generate records (like Management review, manufacturing records, CAPAs/NCRs/ECRs, etc.) to demonstrate the QMS is working and the process is under control. Once the audits have been completed, and certificates are provided (at the minimum an EC certificate from the notified body and usually an ISO 13485 certificate), the manufacturer is legally allowed to apply the CE mark and begin selling the device. 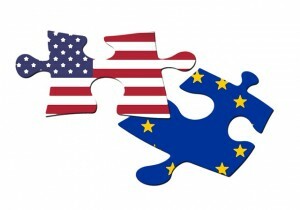 If you are outside the EU, you must contract an ‘Authorized representative’ to act on your behalf, which is similar to the FDA’s requirement for an US Agent if you are a foreign importer of medical devices into the US. The Authorized Representative should be listed on the device labeling, such as IFU, box and any device labels. Companies like Emergo offer this service. Next week’s blog will explore Quality Management System and Documentation similarities and differences between Medical Device 510(k) and CE Marking. 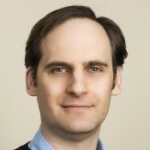 Vincent Crabtree, PhD is a Regulatory Advisor & Project Manager at StarFish Medical. He is always delighted to receive comments and ideas from readers regarding his articles.